Extra strong dog lead for large dogs by Ruffwear. 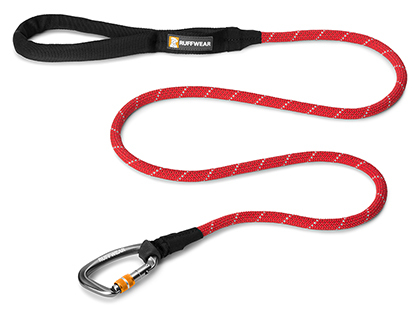 Instead of a traditional clip this lead features a locking carabiner clip as used by climbers and tested to 1100Kg! Also features a cushioned handle for comfort. 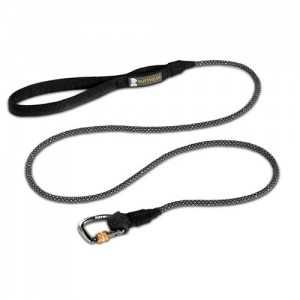 The strong rope has reflective strands for safety at night. Large size: 10mm width | 1.5m length.